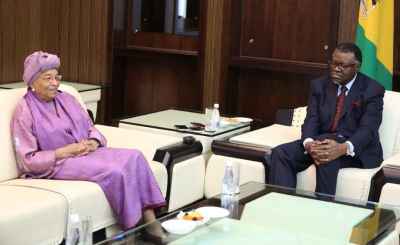 Namibia will continue to dedicate resources to the gender equality agenda and women's empowerment at all levels, Namibian President Hage Geingob said after receiving the African Gender Award from the 'Gender Is My Agenda Campaign'. 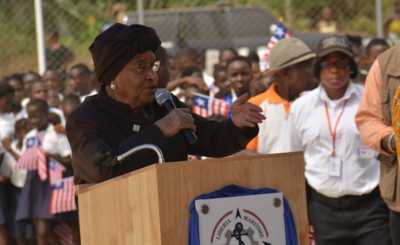 Previous recipient Ellen Johnson-Sirleaf, who recently stepped down as Libera's president, was in Windhoek for the award's ceremony. 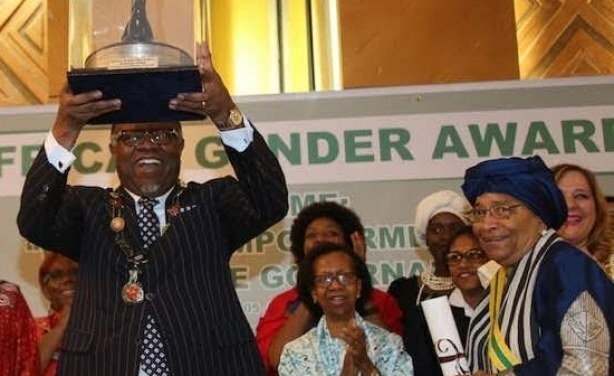 Namibian President Hage Geingob receives the African Gender Award from the 'Gender Is My Agenda Campaign', alongside the previous recipient, former Liberian President Ellen Johnson Sirleaf (right). 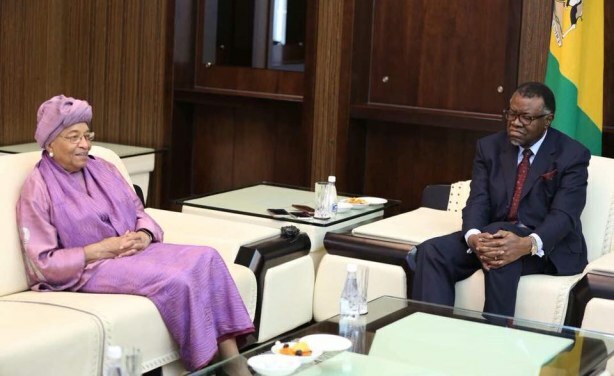 Between them is Joyce Mends-Cole, a former senior UN refuge women's coordinator.